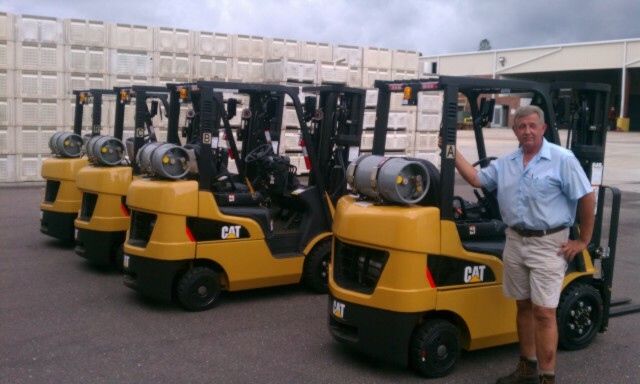 West Coast Tomato LLC, a long-standing customer of Ring Power Lift Trucks, took delivery of 12 new forklifts by Cat Lift Trucks at their Palmetto, Fla. packing plant in September and October. Included in the purchase were four C5000-LE’s, one C4000-LE and seven C3500-LE’s. It’s easy to see why they need so many forklifts. The first company to detect and sort out defective fruit with the aid of technology rather than manual labor, West Coast Tomato produces about five million boxes of tomatoes annually! The customer’s order originally called for 10 new Cat trucks, but they were so pleased with their first delivery and with Ring Power’s customer service, they decided to go all in and ordered two more. Ring Power Lift Trucks is Florida's premier material handling equipment and forklift dealer, with ten conveniently located forklift facilities. Choose a new forklift or used forklift, to fit your budget. We supply forklift parts and service no matter what make or model forklift you own.